While it's pricey, Netgear's Arlo Go is a great way to keep an eye on locations which are off the grid. Blessed with mobile broadband access and an optional solar panel, Netgear's completely wireless Arlo Go makes it easy to install a streaming security camera almost anywhere. 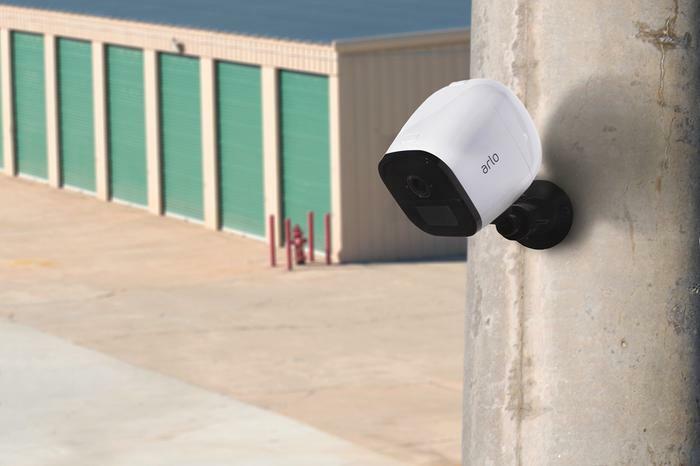 The weather-proof Arlo Go stands out from Netgear's Arlo camera range because it doesn't have built-in Wi-Fi access, instead it takes a micro SIM card for connecting to a 3G/4G mobile network. You can purchase the camera outright for $599 and use it with any pre or post-paid mobile broadband service, perhaps using a SIM card attached to your mobile phone account and sharing its data pool. It's worth asking your telco about the options. Alternatively you can buy the Arlo Go from Telstra on a 24-month Go Mobile Data Plus or My Business Mobile Data Plan and pay off the camera at $15 p/m. Telstra throws in the Arlo Solar Panel for free, otherwise you can buy one outright for $149. The camera comes with an AC power cable, or you can charge it using the solar panel. The Arlo Go offers 720p video with a 130-degree field of view thanks to a slightly fisheye wide-angle lens. The camera lacks physical pan, tilt and optical zoom controls, but you can still get a close-up view of things thanks to 8x digital zoom. There's also a built-in microphone, along with a speaker so you can have two-way conversations with unexpected guests. The camera goes a good job of dealing with difficult lighting conditions, ensuring you don't lose detail in the shadows when the sun is shining brightly. When the sun goes down it can see in the dark, with a range of about 7.6 metres. While the microphone is fine for capturing sounds, it can struggle to make out voices in the distance. This camera is designed for indoor or outdoor use, with an IP65 weather-proof rating to keep out rain and dust. It's suited to the Australian climate, handling temperatures from -20C up to a sweltering 45C. That said, the AC adaptor switches off and the battery stops charging once the mercury falls below 0C but they kick in again when the temperature rises. If morning dew clouds the lens, try installing it under the eaves or an awning. The camera comes with an outside wall mount and 2.5m AC power cable, but if you can't reach a power point then you might opt for the solar panel which charges the 7.2V 26.35W Li-ion battery. The battery lasts for weeks or months on a single charge, so it should never run flat as long as the panel gets a few hours of sunlight each day. You can monitor the battery level and mobile signal strength via the Arlo app, but frustratingly there's no way to monitor the solar panel's performance. You can set up the camera using Netgear's Arlo app on an iOS or Android device, or else via a desktop browser. After this you can access the camera's live feed via your computer or mobile device, as well as recordings stored in the cloud. That's not a bad deal considering that some cloud-based cameras demand a monthly fee for even a basic service. If you want to save clips it's possible to download them into the camera roll on your smartphone. There is a microSD slot for storing video if the camera is temporarily offline, but this doesn't save on bandwidth or extend your storage window. Unlike Nest's rival streaming security cameras, the Arlo Go doesn't upload constantly and only starts recording after it detects sound or movement. It takes a few seconds to start recording, which means you won't capture the moment someone first walks into view. This approach conserves power and bandwidth, which is important if you're relying on mobile broadband and solar power. The downside is that, unlike with Nest, you can't jump back to see what happened just before an event was triggered or scroll through hours of video. To be fair, keep in mind that Nest doesn't offer a solar-powered camera running on mobile broadband like the Arlo Go. When triggered by sound or movement the Arlo Go camera records between 10 and 120 seconds of video, using the MPEG4 format to shrink file sizes. The recording duration can be configured in the app, along with the option to receive email alerts and/or pop-up notifications on your smartphone. A 10-second clip chews through around 1MB of data on the default settings which strike a balance between picture quality and power consumption. Switching to the highest video setting doubles the file size, doubling your mobile data usage but improving your chances of recognising faces in the distance. Thankfully you've got plenty of granular control to reduce false positives, to conserve power and mobile data as well as reduce unnecessary alerts interrupting your day. For starters, you can adjust the sound and movement sensitivity or disable them completely. 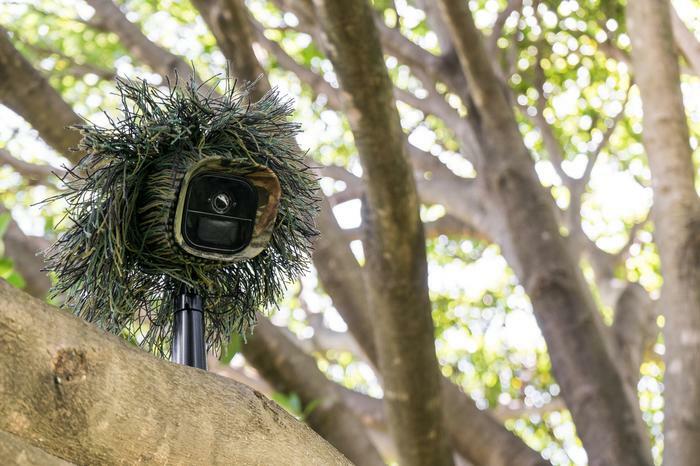 If the camera is outside you'll probably end up disabling the sound alerts, as even at low sensitivity it's still triggered by chirping birds, barking dogs and passing traffic. Motion sensitivity is set to 50% by default, which you'll probably want to dial up with care. At the highest setting, bright sunlight filtering through the trees can set it off along with branches moving in the breeze. You need to position the camera with care, as you can't divide the view into zones. If the neighbours fire up power tools or a dog wanders into your yard you'll get a constant string of alerts, while the Nest cameras are smart enough to delay subsequent alerts during an ongoing incident. You're also missing out on Nest's cloud-based intelligence which can distinguish human sounds and movements to further reduce false positives. 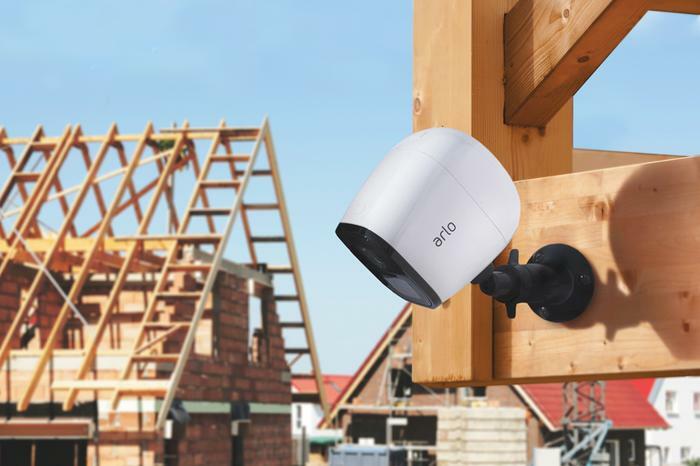 You can schedule the Arlo Go camera to switch off at certain times of day, manually disable it via the app or use geofencing to automatically kill the camera when you're home (although this takes a toll on your phone's battery). On top of this, you can link your Arlo account to a smart ecosystem like Amazon Alexa, Google Assistant, Samsung SmartThings and IFTTT. 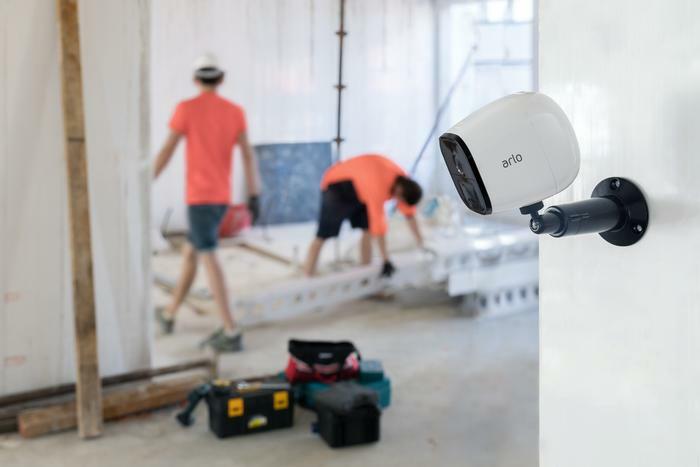 The Arlo Go is a great way to keep an eye on things when AC power and Wi-Fi are out of reach – perhaps monitoring a shed, holiday house or building site. 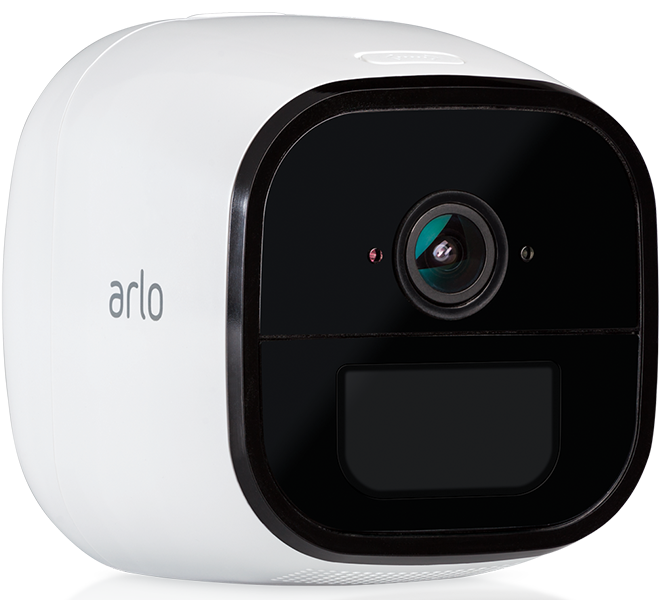 In return it's more expensive than the rest of the Arlo range, so if Wi-Fi is at hand then you should consider the alternatives. For the camera to be reliable you need to ensure that mobile broadband coverage is solid and that the panel gets enough sunlight. This is obviously a challenge indoors or on the shady side of a building. At the same time you'll want to keep the direct sunlight off the lens and tweak the settings to curb false positives and keep your mobile data allowance in check. It's a shame Arlo doesn't offer more intelligent alert management to help cut down on the number of false alarms.